Nashville, Tennessee native Skylar Gregg is a southern rock artist featuring a perfect blend of rock, country and blues brought to you by her southern roots. Skylar found her passion sharing her heart, her humor, and her stories through songwriting and entertaining at an early age and has been pursuing it unapologetically ever since. Being raised in the South, Skylar watched her hairdresser mom and her small business owner dad wake up every morning and go to work, after teaching, or church, writing music or learning their set for their next gig. Most of her family moved here to pursue music in the late 70’s and have continued to be in the business ever since. In Gregg’s family, three things were important, hard work, harmony, and Jesus. Blending this with Skylar’s rebellious nature and work hard, play hard mentality you get an authentic, hardworking, southern rock queen. Walkin' In The Woods is the debut, fully original album by this throwback style singer-songwriter. It being her first record she took time to really hone in on her songwriting craftsmanship, and sound. After four years of writing she released this bluesy record in 2015. Gregg then released a second record in 2018. 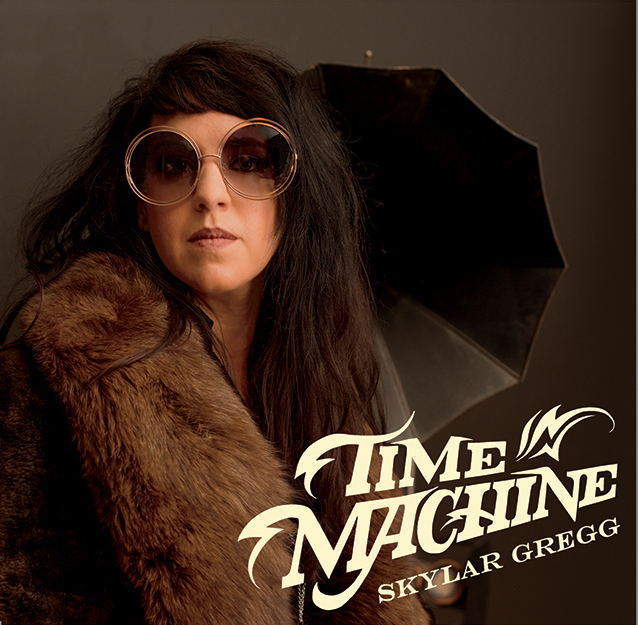 “Southern blues rocker Skylar Gregg has stepped up to the plate this summer with her release of Time Machine, her sophomore release full of young-hearted southern rock with rugged, traditional country edges. Every song carries the soul of a gritty blues heroine in love with the bittersweet nostalgia of growing up. The album is a walking, breathing patchwork of rocking countryside blues powered by Gregg’s throbbing heart and soul. Skylar Gregg is an artist who may have actually stumbled right out of a time machine herself. She was cradled in the arms of the different genres and styles known to Tennessee in years past. After picking up the guitar at a young age, she said she soon began trading stories with the crowd of pickers.